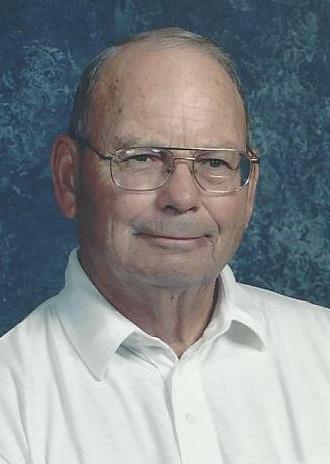 Bobby Dean Henson, 85, formerly of Manville, passed away Wednesday, January 23, 2019 at Evenglow Inn at Pontiac, Illinois surrounded by his loving family. Mass of Christian Burial will be at 11:30 A.M. Monday at St. Michael the Archangel Church, Streator. Rev. Fr. Ryan Mattingly will officiate. Visitation will be from 2-5 P.M. Sunday at the Solon-Telford Funeral Home, Streator. Additional visitation will be from 9:30 A.M. until 10:30 A.M. Monday at the funeral home. Burial will be in St. Mary’s Cemetery, Streator. Pallbearers will be grandsons, Brian, Jeff, Nicholas, Jason, Alex and T.J. Henson; Christopher Cherveny and Andrew Wargo. Honorary pallbearers will be grandsons, Patrick, Scott, Lincoln, Joseph, Jordan, Kyle and Colton Henson; Clinton Cherveny and Tyler Wargo. Born August 19, 1933 in Johnsonville, Illinois, he was the son of Leslie and Myrtle (Wright) Henson. He married Doris Oehl on June 19, 1953. She preceded him in death on January 16, 1997. He is survived by daughters, Deborah (Mike) Cherveny of Streator, Linda (Kevin) Wargo of Streator and Carol (Steve) Johnston of Streator; sons, Richard (Sue) Henson of Carmel, Indiana, Dennis (Janice) Henson of Channahon, Daniel (Sue) Henson of Streator, Terry (Sue) Henson of Streator, Larry (Colleen) Henson of Troy, Tim (Diana) Henson of Dwight and Mike (Billie Jo) Henson of Pontiac; 29 grandchildren; 38 great grandchildren; and a brother, Roger Henson of Byron. He was preceded in death by his parents; his wife; a son, David Henson; sisters, Delores Hanesford and Mary Lou Wiltfang; a brother, Ronald Henson and a daughter in law, Judith Henson. Bobby was raised in the Byron area attending Byron grade schools and Byron High School. He also attended the University of Illinois where he studied Business. He moved to the Streator area in 1966. He worked for Joyce Beverage (7 UP) from 1953-1994 in various capacities including, truck driver, routes sales, distributor and District Manager. He started in the Rockford area and also managed offices in Streator, Bloomington and Ottawa through the years. He later worked for Turner Bus Company, driving a bus for Woodland School from 1995-2010. He was a member of the former Immaculate Conception Church where he volunteered as an usher for many years. He currently belonged to St. Michael the Archangel Church, Streator. He was a member of the Teamsters Union and was a 3rd Degree member of the Msgr. George A. Dzuryo Knights of Columbus Council #790. He also served on the Woodland High School Board of Education for several years. Bobby loved golfing and fishing. He enjoyed football and NASCAR as well. He was a loyal family man who loved spending time with his large family. He will be dearly missed by all who knew and loved him. Memorials may be directed to Evenglow Lodge Memory Care or the charity of the donor’s choice.